AGRO TECHNIC PTE LTD is delighted to announce the achievement of attaining ISO 9001:2000 standard. 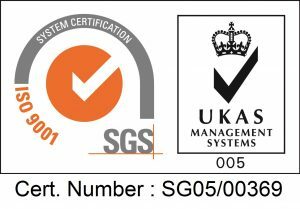 Following our recent assessment , Agrofog has successfully achieved the ISO 9001 Certification. An international benchmark standard for Quality. 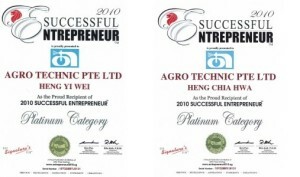 AGRO TECHNIC PTE LTD ; Managing Director Mr Frederick Heng and General Manager Mr Heng Yi Wei is honored with 2010 Successful Entrepreneur Award. 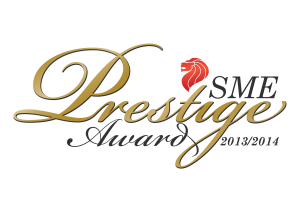 This award gives due recognition to organisations and individuals for demonstrating outstanding entrepreneurial performance of their talents at various levels and setting standards with achievements. Workplace Safety and Health (WSH) Acts are to reduce risks at source, increase industry stakeholders’ ownership and focus on achieving good WSH outcomes and systems rather than complying with prescriptive requirements. AGRO TECHNIC PTE LTD has also attained bizSAFE Level 3 Certification. Sprayer Equipment for Pest, Pest Sprayer, Managing Pest, Pest Management, Pest Control Singapore, Pest Control Supplies, Fogging Machine, Fogging, Thermal Fogger, Thermal Fogging, ULV Fogger, Pesticide Sprayer, Pesticide spraying, Malaysia, Indonesia, Thailand, Vietnam, Cambodia, Myammar, India, Korea, Japan, Taiwan, Hongkong. Pest control is used to manage and eliminate pests. Designed to help decrease and suppress pest levels, Pro Active Pest Management utilizes environmentally safe pesticides that help control, prevent and eliminate both household and structural pests. Pest management remains as an essential measure to create a good living environment for all. This important task of pest control lies in the hands of everyone. Regardless if you are a country, state, corporation, division, home-owner and even individual. we believe that the efficacy of our machinery and chemicals speak for themselves. Not to play second-fiddle, our on-site and backup services are also strong complimentary arms that have made us the main provider of thermal fogging, ULV fogging and sprayer technologies.